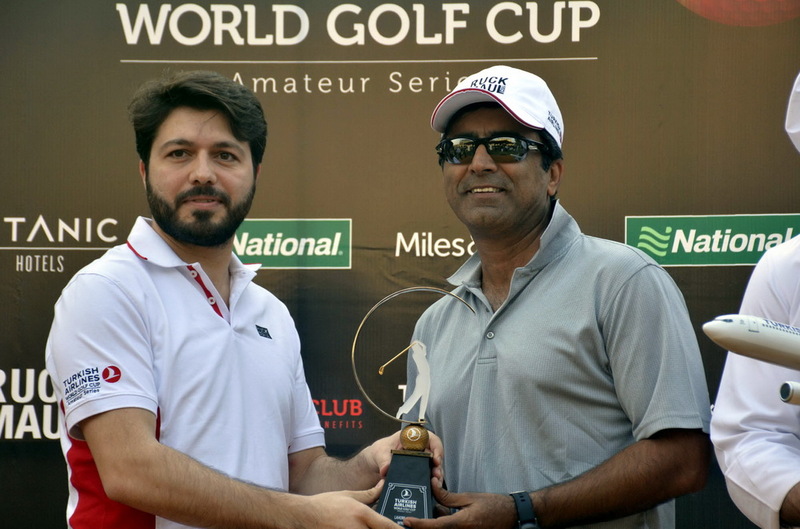 LAHORE: In the Turkish Airlines World Golf Cup ’19 contested at the Royal Palm Golf Course, out of a total of 95 competing amateurs, the rivalry and quest for top slot ended in favour of Asim Tiwana of Royal Palm Golf and Country Club. Asim Tiwana who emerged on top of the honors table with a commendable, laudable and praiseworthy accumulation of 41 points, built up through steady and accurate hitting and nerve free putting. Throughout the 18 holes, Asim was continuously pursued and hounded by some very accomplished golfers like Hassan Hamid, Waleed Zubair, Faisal Syed, Saqib Hameed, Abdullah Sharif and Sardar Murad. Out of these few, who were playing and exhibiting good regulation golf the biggest threat was from young and energetic Hassan Hamid who certainly appeared adept in his approach to the winners podium. But all this did not perturb Asim and he remained composed and his dynamics were clear, just hit well and the rest of the game will fall in place. And by all accounts this is what he did. “The resolve to play to a plan has done wonders” he said and complimented the Turkish Airlines team for awarding him a 10 days trip to Turkey to participate in an International championship in Turkey. Mr. Hamid, General Manager of Turkish Airlines said, that this event is held in 64 countries of the world and the winner from each country is a part of the championship. Other significant performers during this 18 holes event were Hassan Hamid and Waleed Zubair. Hassan attained the second position with a stableford points tally equal to that of Asim but Asim edged past him in the ultimate reckoning because he had accumulated 21 points as against 20 accumulated by Hassan. The third position went to Waleed Zubair whose points tally was 39. Other results were: Nearest to Pin – Hussain Hamid; Gross winner – Sardar Murad.